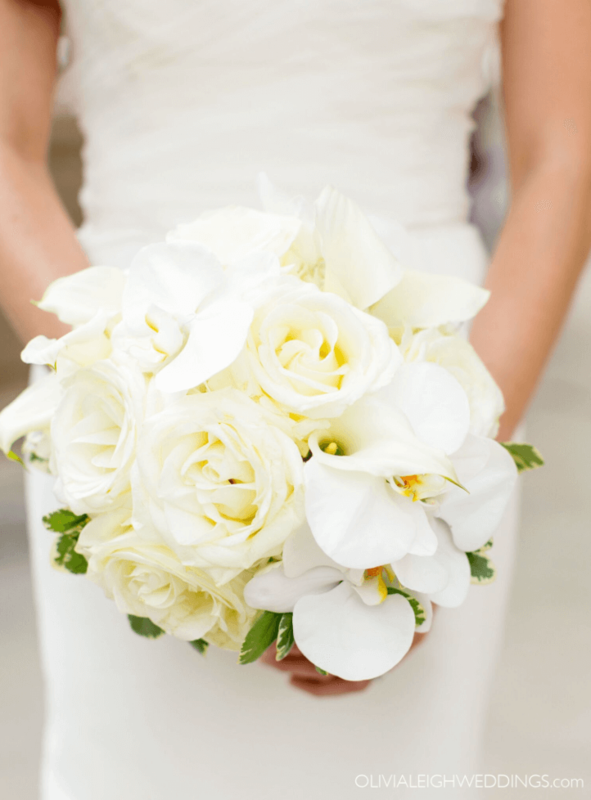 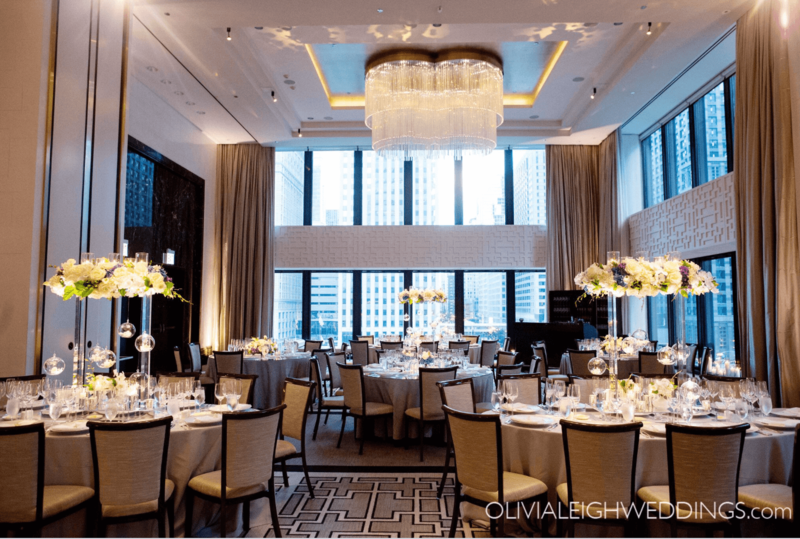 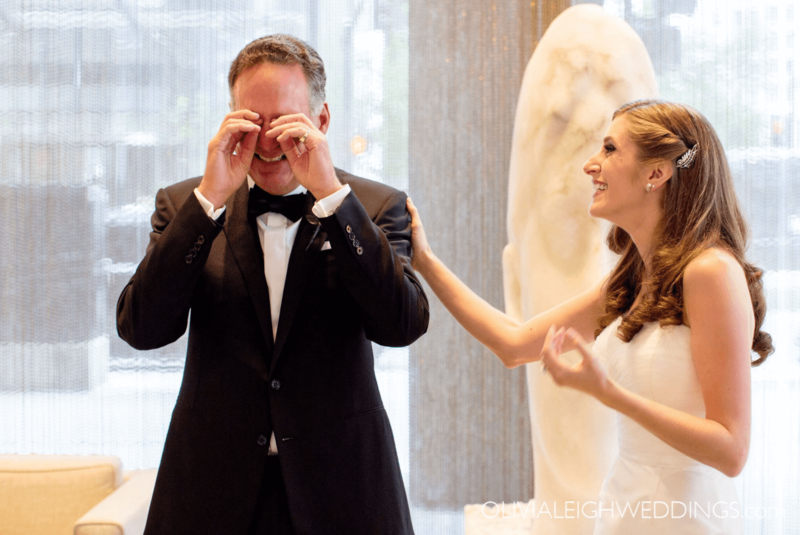 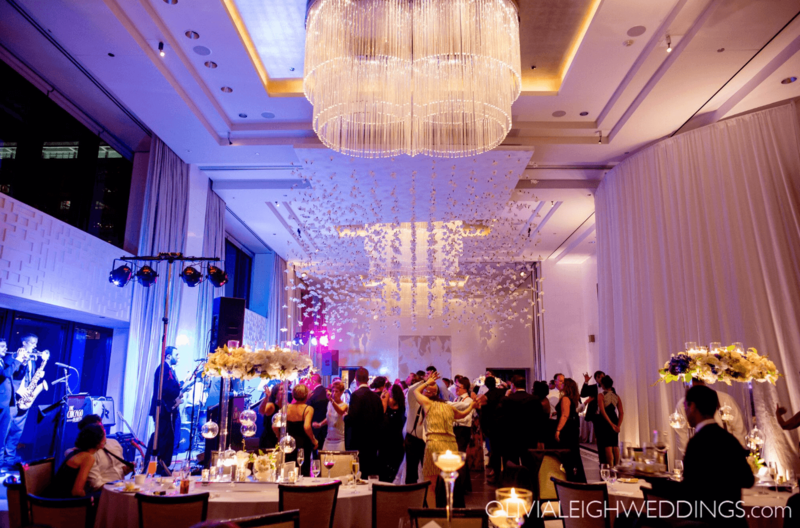 The Langham Hotel is quickly becoming one of our favorite hotels to host a wedding at. 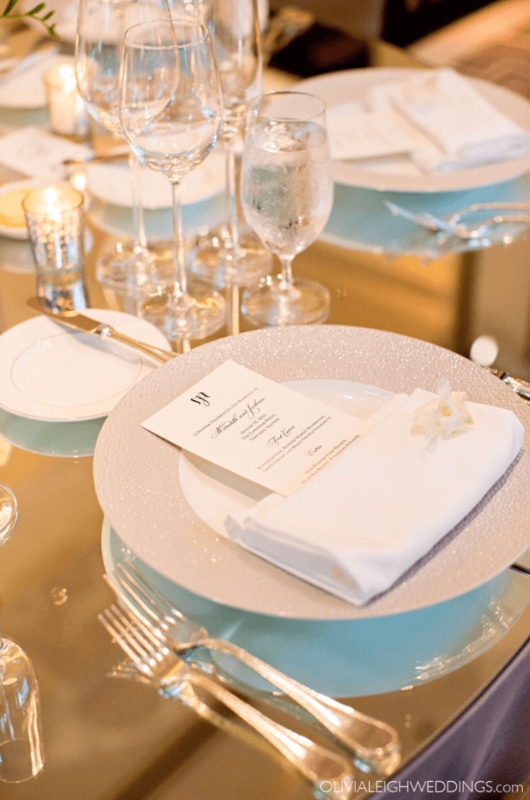 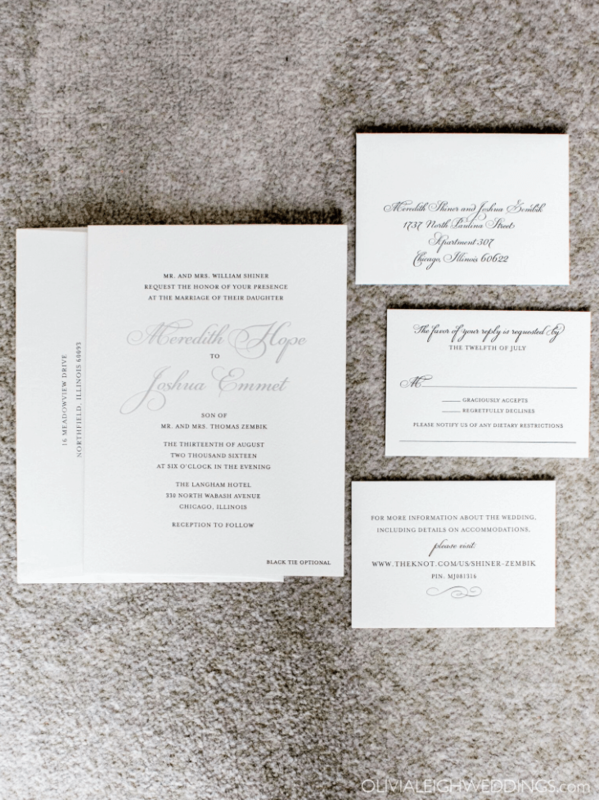 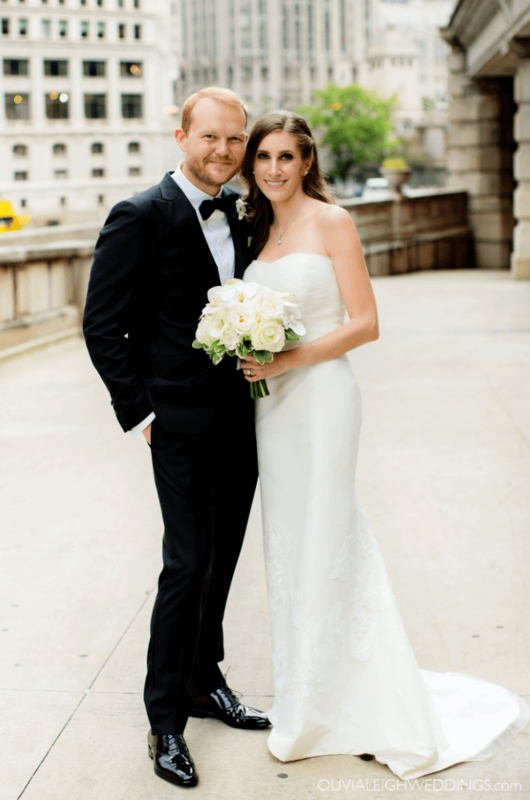 Meredith and Josh wanted to wow their guests with a modern take on a ballroom wedding. 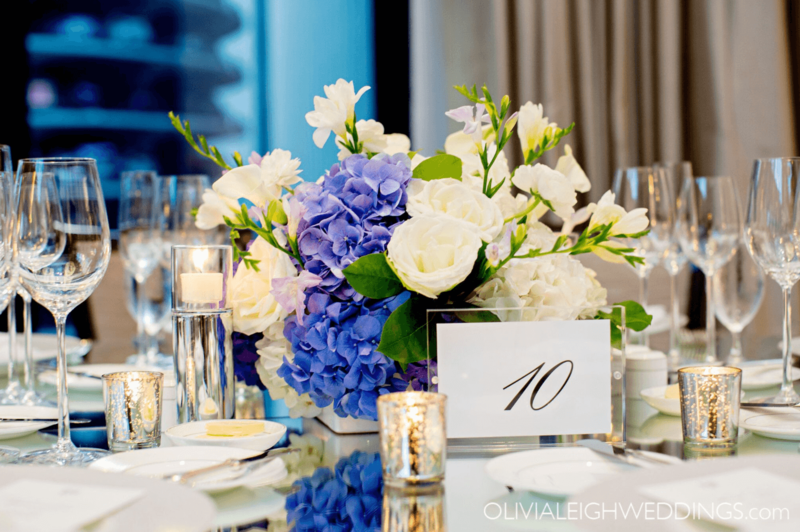 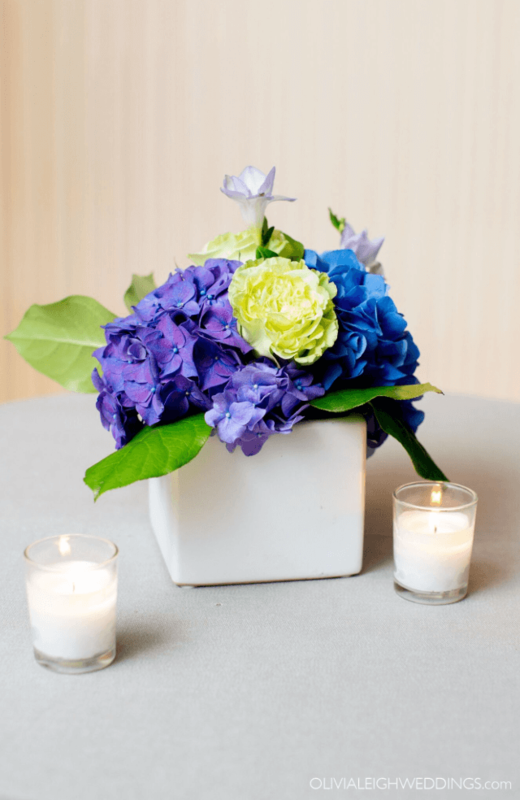 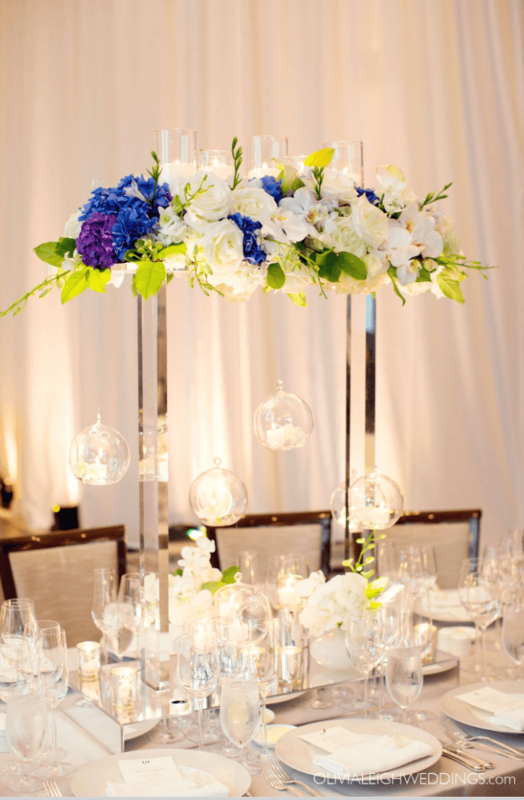 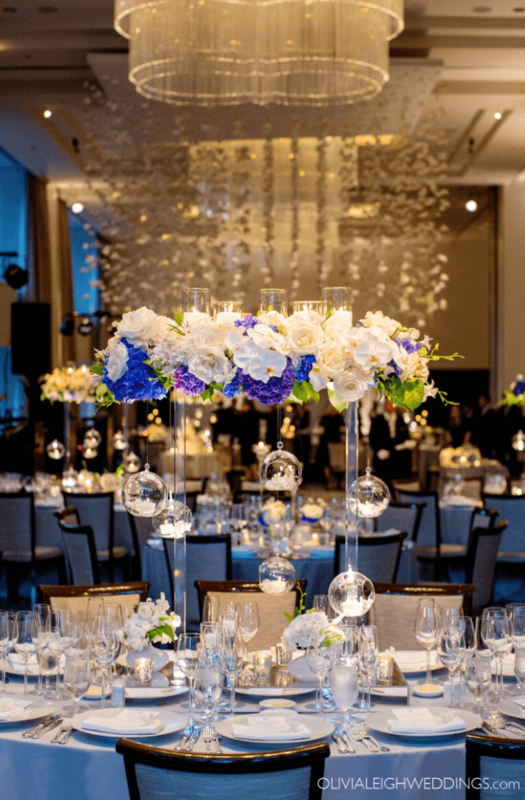 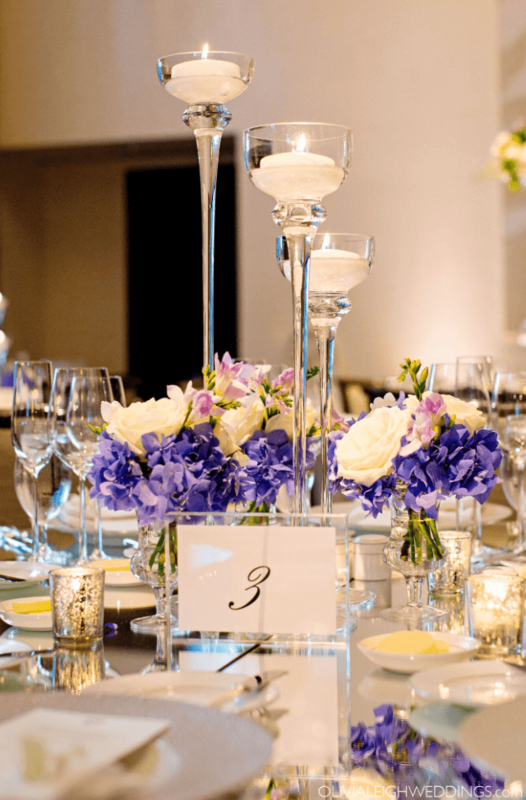 Meredith didn’t want traditional tall fluffy centerpieces, so we incorporated her favorite colors, purple and blue, in to a sleek and modern centerpiece. 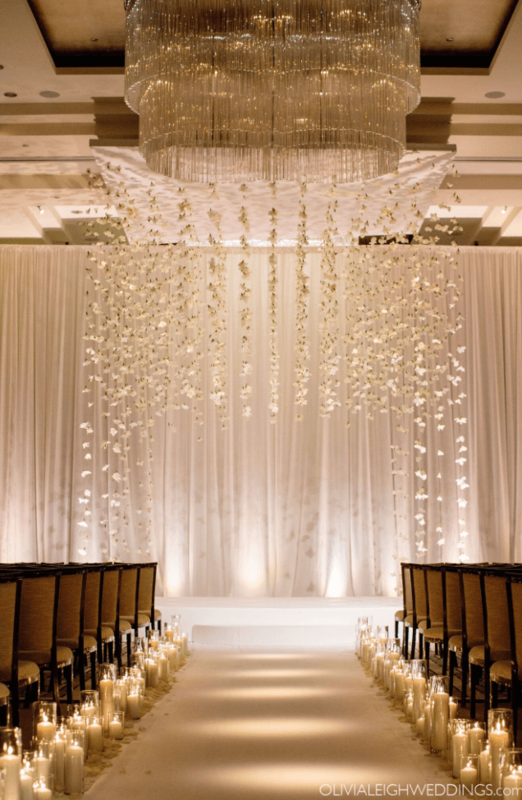 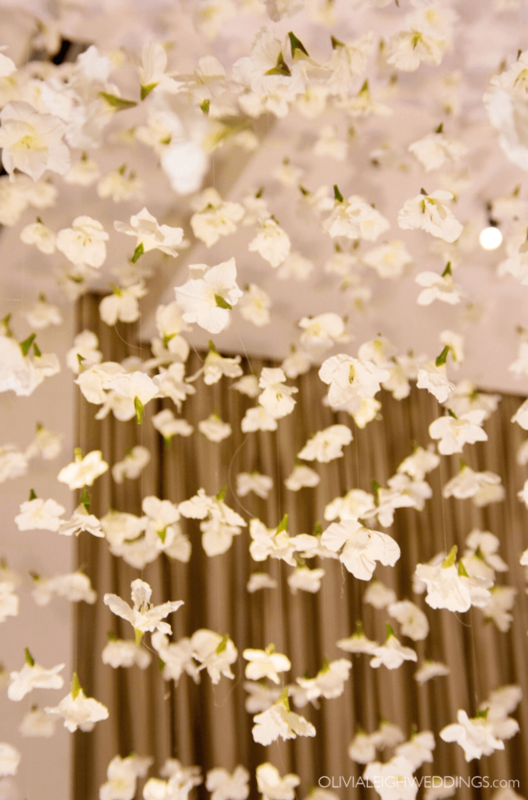 The main focal point of the evening was the chuppah which was made of thousands of blooms, and hung from the ceiling. 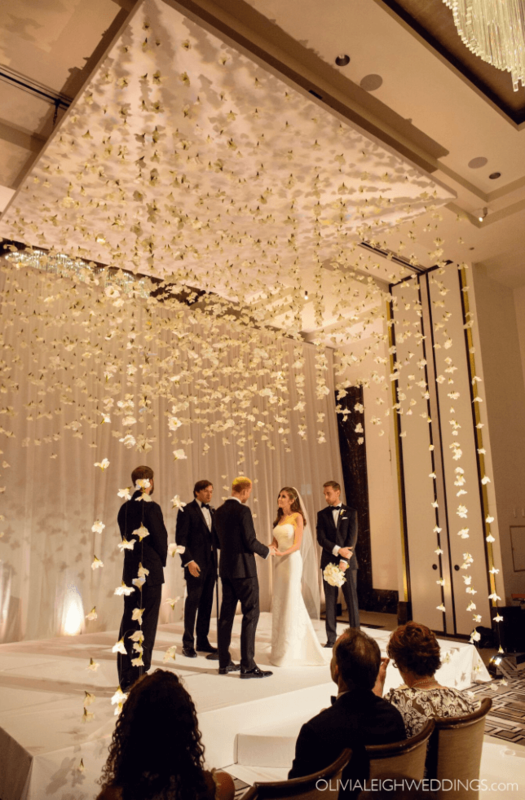 After the ceremony, the chuppah became the centerpiece of the room when it hung over the dance floor. 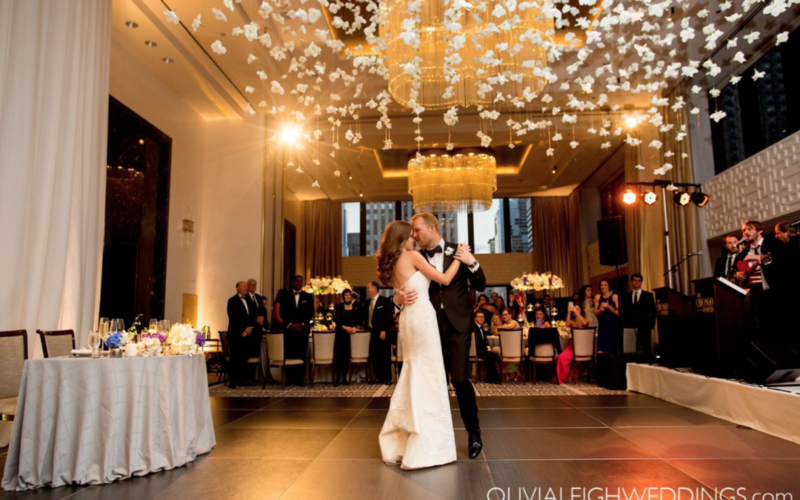 Guests surrounded the couple as they danced the night away!